In association with our No Plastic Bag campaign, we bring you 'Shop Friendly' - a workshop/guide to how to shop avoiding packaging and plastic bags. Amanda Chapman - zero waste blogger and activist will guide you, give tips and demo some zero waste recipes. You can BYO jars, containers, bags and a shopping list if you intend to do some shopping. 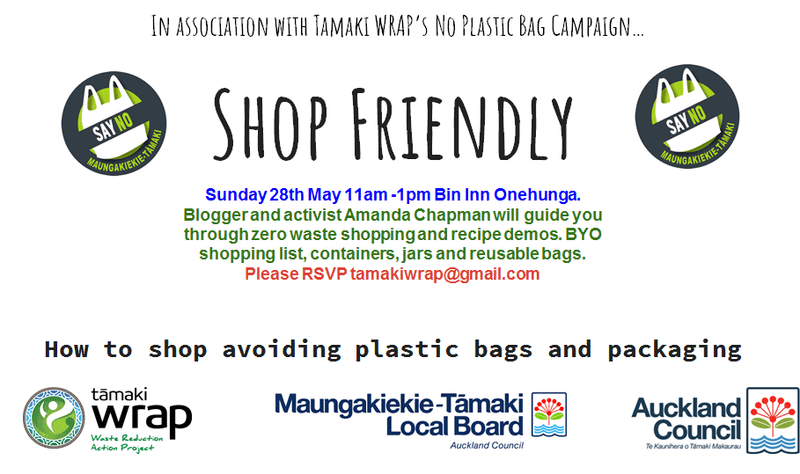 Bin Inn Onehunga will be offering a special discount for participants.